Arab Contractors Construction Company is working to finish the construction of 168 feddans of the New Administrative Capital’s Green River area and central park. The construction work started on Monday. The first phase of the Green River project extends over an area of 10 kilometers and is estimated to cost some $500 million. Prime Minister Mostafa Madbouli said on Monday during his visit to the Green River project that it will be finalized in 18 months with the participation of the private sector. The park – to be set up on an area of 1000 kilometers – will be open for the public. It is expected to receive over 2 million visitors annually, director of the office of Dar Al-Handasah Yehia Zaki said. Seven contracting companies are working on the project with hundreds of workers hired for the purpose. 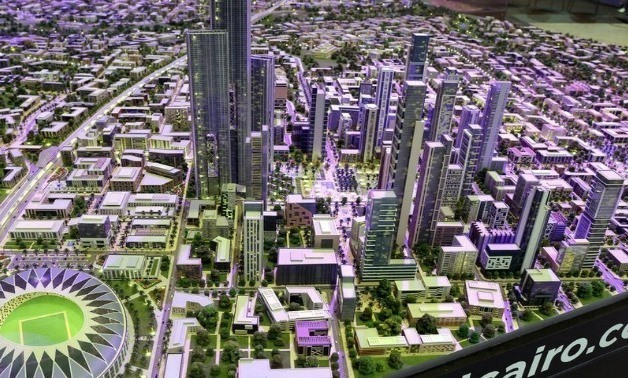 During his tour, Madbouli said that the New Administrative Capital will witness the establishment of the highest tower in Egypt and Africa in March 2019. The tower will be up to 390 meters in height and will be established in cooperation with China State Construction Engineering Company (CSCEC), he added. The New Administrative Capital is planned to include 21 residential districts, educational institutions, hospitals, 40,000 hotel rooms, a theme park, solar plants and a new international airport.